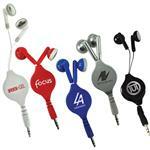 Customized with your logo these Shoe Lace Earbuds are a fun and colorful way to promote your company or event. 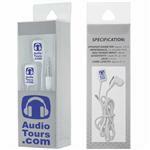 With a 50" long and soft ear pads for comfort, it delivers quality sound for the price point and will sure to be hit with customers or in a pinch a high tech back-up pair of laces for your shoes. 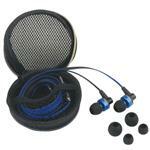 A much better choice than standard earbuds. 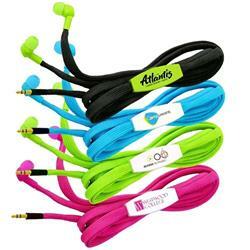 The cord is 50" long with soft ear pads for comfort. Sensitivity: 85 dB, Frequency Response: 120Hz - 16,000Hz, Rated Input Power: 5mW, Maximum Input Power: 10mW. Assorted Colors Per Order: Minimum of 50 per color. Imprint color must stay the same on all.